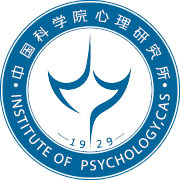 The Cognitive Neurophysiology GroupThe Cognitive Neurophysiology Group for neuronal basis of perceptual behaviors is located at the Institute of Psychology, Chinese Academy of Sciences, and headed by Dr. Tao Zhang. One of the most significant tasks in cognitive neuroscience is to establish a functional link between the activity of neurons and sensory perception. The main goal of our research is to understand the neuronal processes that mediate visual perception, visually guided behavior and sensory working memory. To fulfill this purpose, we are conducting parallel behavioral and neurophysiological experiments in monkeys that are trained to perform selected perceptual tasks. By recording the extracellular activity of cortical neurons, eye movements and behavioral performance simultaneously, we are able to uncover the linkage between neuronal activity and perceptual behavioral. By modifying neuronal activity, we are able to test whether behavior is affected in a predictable manner. Computer modelling techniques are then used to guide future investigations. We have state of art research equipments and independent monkey facility, which can accommodate upto 32 monkeys. All potential graduate students are welcome to join the lab! 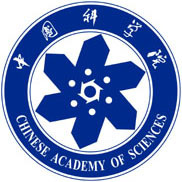 Young talents with biophysics or neurophysiology background are extremely encouraged to apply! (2013-05-08) Welcome the new Assistant investigator Shenbing Kuang. (2012-11-10) First Neuron in our lab! (2012-10-17) Two surgeries for eye coil, head holder and chamber have been performed successfully. (2012-08-20) Welcome the new members Weiying Chen and Jinfu Shi to our labortory. (2012-04-20) The instruments of new experimental platform have been set up. (2011-11-11) The second surgery of macaque "E Mei" has been performed successfully. (2011-10-28) The first surgery of our labortory has been performed successfully. Macaque "Kun Lun" is in good condition after the surgery.